Yoga is one of those things that isn't purely physical and isn't purely mental. It is a blend and for those who have practiced it before, it quickly become an integral part of your health and fitness routine. We've asked our friend and yoga instructor, Kelly Prince, to pick 5 things for the people in your life who practice hot yoga. "Yoga is my passion. My purpose in opening up Body Heat Yoga studio was to share yoga with as many people that I could. The benefits of this practice have gone far beyond my expectations. My job is to share that with you! Besides a great studio to practice at there are also so many things to choose from to make your yoga practice enjoyable. Here is the list of my 5 favorite yoga items that I bring with me to every yoga practice!" A great yoga mat is very beneficial for any yoga class but, especially for hot yoga to avoid slipping. My favorite mat is made by lululemon . This yoga mat with rubber to give added support and provides cushioning for us between studio & hard gym floors. The mat has polyurethane coating and will stay grippy even in your hot yoga practice. The best part is that they even make a travel mat that is lighter in weight so you can bring your hot yoga class into your vacation! To avoid slipping in your hot yoga class besides a great mat what goes on top is a great mat towel. Yogitoes makes an amazing skidless mat towel with rubber grips on the bottom that actually grip the towel to the mat. I never slip and always feel safe when I go deeper into my yoga postures knowing that my towel will not slip out from under my feet. I love them, I own three just in case I forget mine, I always have a spare yogitoes mat towel in the car! If you’re a women you know what a big distraction it can be to have hair in your face during your workout. I love headbands but they can look a bit tacky at times. Even though yoga is not an image thing it’s still great to love how you look! My favitote headband is the Emijay Headbands & hairties. They stay on great & look’s as if you have a ribbon in your hair. Emijay makes fun & bright colors for every outfit!! You can practice yoga in any workout clothes but, I suggest to practice hot yoga in shorts so that you can see your alignment & yoga postures better. It’s also 105% in the yoga room so the shorts will keep you feeling cooler as you practice. Personally my favorite hot yoga shorts are made by a company called Tonic. I love the Tonic Gather Shorts they have the look as small track shorts and are perfect for my body shape. They come in all different styles & types for all different shapes and sizes. It all depended on what you’re comfortable in, Let the shopping begin! Hydration is very important for ANY type of workout that involves sweating. Although I’m a big fan of Coconut h2o it only contains potassium. When you sweat you lose more than just that. It is so important to replace all of your minerals after sweating. 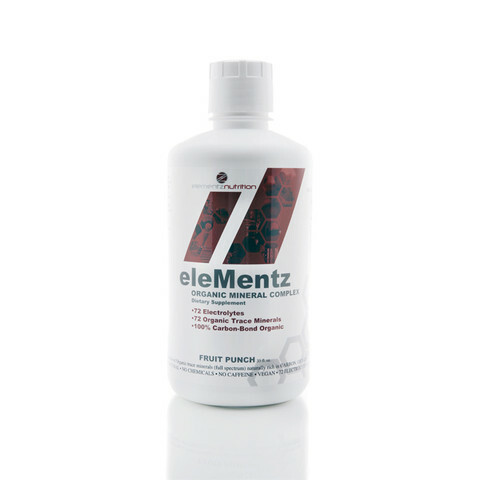 After every hot yoga class I like to replace my minerals by drinking Elementz mineral complex . It’s an organic trace mineral supplement & a powerful organic electrolyte! I often start my day with a shot of mineral complex to make sure I walk into my day since hydration is balance for the body! Kelly Prince opened Body Heat Sarasota (Hot & Power Yoga Studio) in July of 2007 and is soon to open a second branch in Tampa. She was born and raised in Sarasota where she performed in the Sailor Circus for nine years. After high school, she relocated to Orlando, Florida to perform at Walt Disney World in stunt performance shows. She also had the opportunity to work at Walt Disney in Tokyo, Japan where she lived for nine months. Kelly also teaches yoga to Pro Football and Baseball at the Sports Compound in Tampa, FL. She also competes in Fitness Competitions around the U.S.